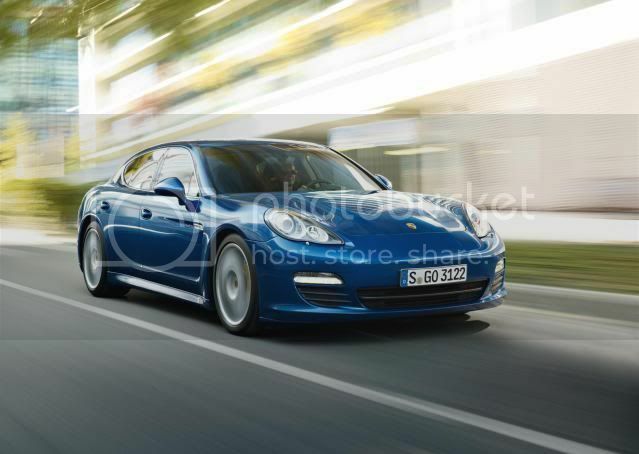 Porsche has announced prices of the new Panamera S Hybrid, ahead of its on-sale date in June. Priced at £86,146, the Panamera S Hybrid boasts the lowest CO2 emissions of any large executive sedan. With carbon emissions of 159g/km combined, the hybrid large executive sports car undercuts the BMW 730d by 25g/km and Jaguar XJ 3.0D by 19g/km. Combined fuel economy stands at 41.5mpg (6.8l/100km). The Panamera S Hybrid should primarily appeal to company car drivers as the low CO2 emissions place it under the Government threshold of 160g/km, allowing companies to write off most of the car. While the regular Panamera sports a 295bhp (291PS/220kW) 3.6 litre V6, the Hybrid model’s powertrain is lifted out of the company’s Cayenne Hybrid, and utilises the same 333bhp (328PS/248kW) supercharged 3.0 litre V6 petrol engine from Audi. The Cayenne Hybrid already accounts for a fifth of UK sales, hence why the Panamera S Hybrid is important in the UK line-up. The supercharged V6 is backed up by 47bhp (46PS/35kW) electric motor that doubles up as a starter/generator and is box up next to a clutch, so the car can travel on either electric or petrol power. Driving using the electric motor will get you 1.25 miles (2km) before the petrol engine kicks in. In electric mode, the driver can travel upto 53mph (85km/h), depending on traffic and asphalt conditions. The Porsche hybrid drive is also the only system in the world able to exploit additional consumption reserves thanks to its so-called ‘sailing’ function. During phases when no power is required from the combustion engine, ‘sailing’ entails switching off the engine and disengaging the drivetrain at speeds of up to 103mph (166km/h) (Cayenne S Hybrid 97mph/156km/h). 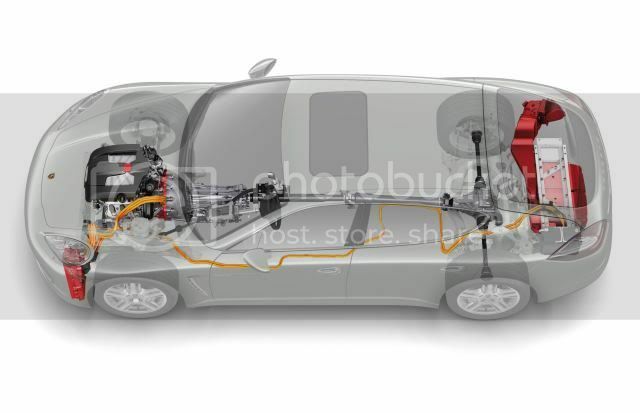 The electric motor is connected to a nickel metal hydride (NiMh) battery where the electrical energy recovered while braking and driving is stored. Power transmission is handled by the familiar 8-speed Tiptronic S, with a wide spread of ratios, as already fitted to the Cayenne. 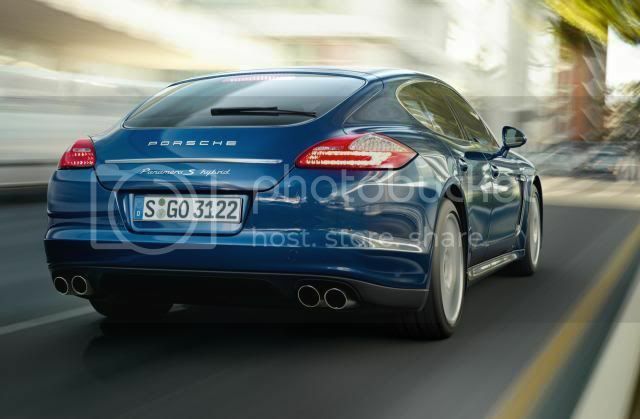 With a top-speed of 168mph (270km/h), the Panamera S Hybrid can hit 60mph (97km/h) in 6 seconds. The Panamera has standard specification that includes leather interior, Porsche active suspension management (PASM), bi-xenon headlights, front and rear ParkAssist, tyre pressure monitoring, auto-dimming rear-view internal mirror/door mirrors, Porsche Communication Management with touch-screen satellite navigation w/audio controls, cruise control, Porsche vehicle tracking system (VTS), three year warranty, adaptive air suspension, and innovative display panel - already seen in the Cayenne Hybrid - that provides the driver with all the relevant information about the vehicle’s specific hybrid driving status. Approximately 15 months after sales started, nearly 30,000 vehicles have been delivered worldwide, of which over 1,000 have been in the UK.